I thought I'd start a new thread and discuss possible improvements in wdtvext performance on 1.05-wdtvext firmware. Also, poking around might be helpful for future projects. So, to fix the first problem I managed to find a quick fix and patch the libext.so binary replacing the extra log strings that I didn't want displayed with null strings (actually I only replaced the first character of the string with null). Everyone can do this relatively easily with a hex editor. So, now the logs are clear at least. 2. This is more tricky to fix (and I'm actually still analizing it). I was hoping to disassemble the library and find some calls that set up logging/tracing and maybe flip a bit to turn it off. So far, I haven't found a simple solution, but in theory there are options. If you were to disassemble the libext.so binary (with IDA Pro) you can quickly identify some interesting subroutines: trace_method_enter, trace_method_leave, trace_message, logPacketSize. .text:00026C2C addiu $a0, $v0, (aWdtvext - 0x120000) # "WDTVExt"
.text:00026C38 addiu $a2, $v0, (aWdtvlive - 0x120000) # "WDTVLIVE"
.text:0001E11C la $gp, aErflow_error # "ERFLOW_ERROR"
.text:0001E168 addiu $a0, $v0, (a__page_show_se - 0x120000) # "__page_show_settings__"
.text:0001E170 addiu $a1, $v0, (aSD_3 - 0x120000) # "(%s:%d)"
.text:0001E178 addiu $a2, $v0, (a__SrcJsPage_c - 0x120000) # "..\\src\\js\\Page.c"
.text:0001E1B8 addiu $a0, $v0, (a__page_show_se - 0x120000) # "__page_show_settings__"
.text:0001E1C0 addiu $a1, $v0, (aSD_3 - 0x120000) # "(%s:%d)"
.text:0001E1C8 addiu $a2, $v0, (a__SrcJsPage_c - 0x120000) # "..\\src\\js\\Page.c"
What we need to do is to skip calling trace_method_* in all of these small functions and we should get a nice speed boost. Now, how can we do that? We could add an unconditional jump in each of these functions to skip the trace methods and their parameters (we need to keep track of the stack so that we won't corrupt it - but sadly there doesn't seem to be a calling convention for mips - I don't know if the caller function has to clear the stack or if the callee does this. With a bit more analysis or testing we can probably work it out). This "fix" would bring the most benefit in terms of performance, but it needs to be done in a lot of places. I guess either a jump or replacing the current code with NOPs could do. I think a jump is faster then executing 30 NOPs, but I could be wrong (jumps can invalidate the execution pipeline and add a cost in performance). Well, that's all for now. I plan on learning more mips assembly for the fun of it (maybe experiment first on a piece of code where I know what the functions do and what/how many parameters they take). I keep begging b-rad to give me whatever source code he has for wdtvext for 1.02, but he keeps having computer problems, so no code yet. I haven't contacted pibos yet, but I plan to next year. I'm a bit afraid that he might help us and we won't learn anything new, so I plan on trying to figure out things for myself first and learn in this process. Of course without sources or his help, disassembly won't get us too far. I want to contact pibos again when 1.06 is in a usable state with wdtvext (I'll probably start work on it in january), so that he can help us there. For now WDTVExt disassembly is mostly a research project. I also plan to document my findings so that others can learn (MIPS ASM isn't that cryptic - especially if you followed a course on x86-64 ASM). By the way, if anybody wants to learn/understand x86 ASM better and GDB, you should have a look at this course: https://www.coursera.org/course/hwswinterface. I found the assignments difficult, but interesting. You can compile this code with the standard mips compiler provided by WD. 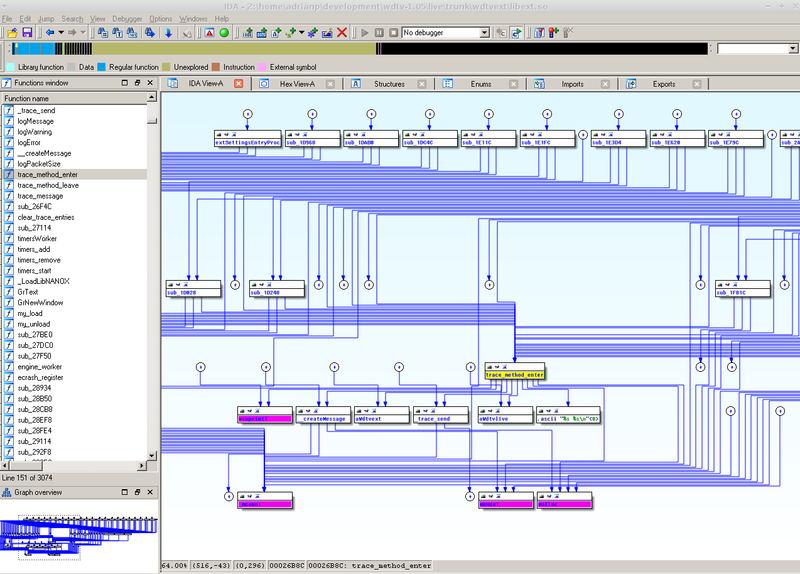 Next we will load the binary into IDA Pro and study it (I added comments of what happens for your convenience). The main() function is called, and it calls c_function1, c_function2, c_function3 and c_function4 and exits. 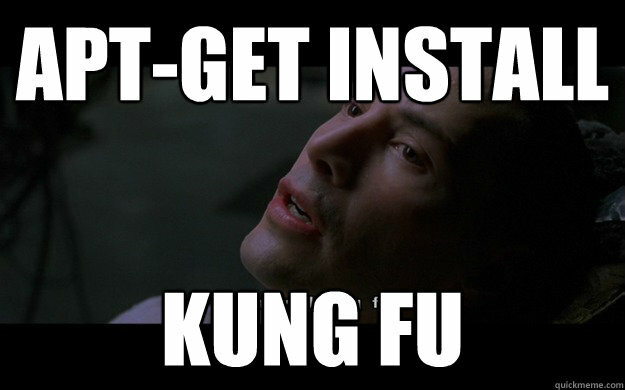 The other functions call printf() and puts(). 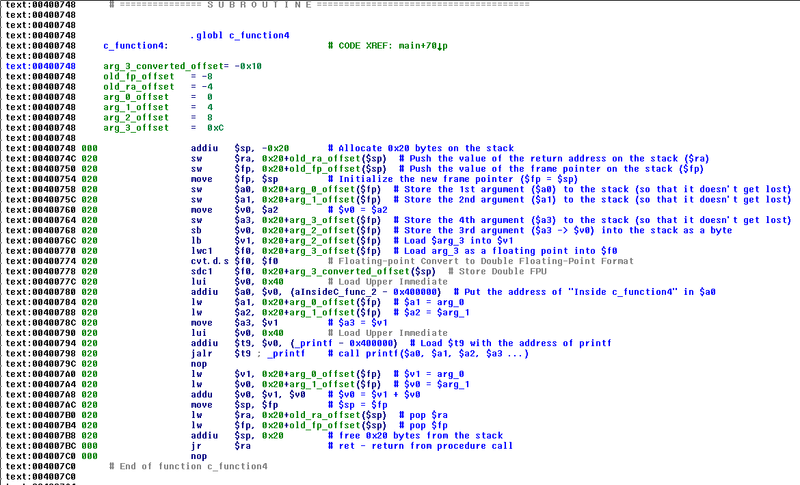 There are no push/pop commands in the MIPS assembly language to work with stacks. Stack values are accessed as memory space by knowing the offset you want to address. I've found out why most jump instructions seem to have an extra "nop" after them - it seems that because of the way the processor is built the next instruction after a jump is also executed (it gets fed into the execution pipeline). So this needs to be taken into account if you want to change instructions to make jumps some place else (see http://en.wikipedia.org/wiki/MIPS_instruction_set#MIPS_assembly_language in the "Jump and link" section). In the caller function allow it to set up parameters but replace the call to jalr $t9 with nop. Bonus points - replace the parameter setup instructions with nops. In the caller function add an unconditional jump (j/jr) before parameter set up followed by a nop and jump to where the function would have returned. It seems Ida Pro is just a disassembler and doesn't allow you to magically add or change instructions and produce a new binary. From what I've looked one needs to manually replace the offending instructions with the correct opcodes. It can generate some binary diffs that can be somehow applied on the target binary. But this needs to be explored/experimented (in my next episode). There are some good news hidden in this bad news however - RISC processors (like MIPS) have fixed instruction length: 32 bits (unlike CISC processors like x86 or x86_64 with have variable length instructions). So, this means we can replace one instruction with any different instruction without having to offset anything around. Ok, part two of our tutorial - let's learn how to patch. We need to change existing instructions into new instructions to jump around in the code as we want (our goal here is to skip the execution of certain functions). We can do this by either replacing the instruction with nop, or (ideally) replace the instruction with a jump to where you want to go to. We can only change things by using "Edit -> Patch program -> Change bytes", but we need to know the machine code to fill in. Let's first look at the "nop" strategy. We want to replace this "jal c_function1" call (at offset 004007EC) with nop so that the program would skip calling c_function1 when executed. First thing we need to do is find out what op code we need for nop. We can do this by selecting any "nop" instruction and choose "Synchronize with -> Hex-View A". 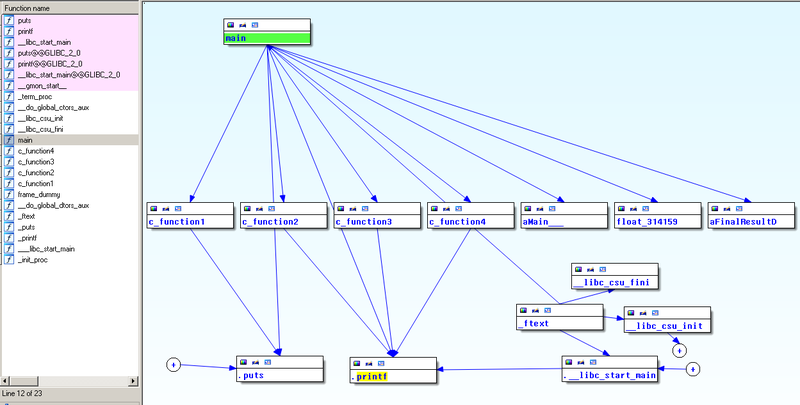 Next, switch to Hex view and it will show you the OP code highlighted. For nop we have "00 00 00 00" as the op code (how convenient). Check that the jump instruction was replaced with nop in the view. 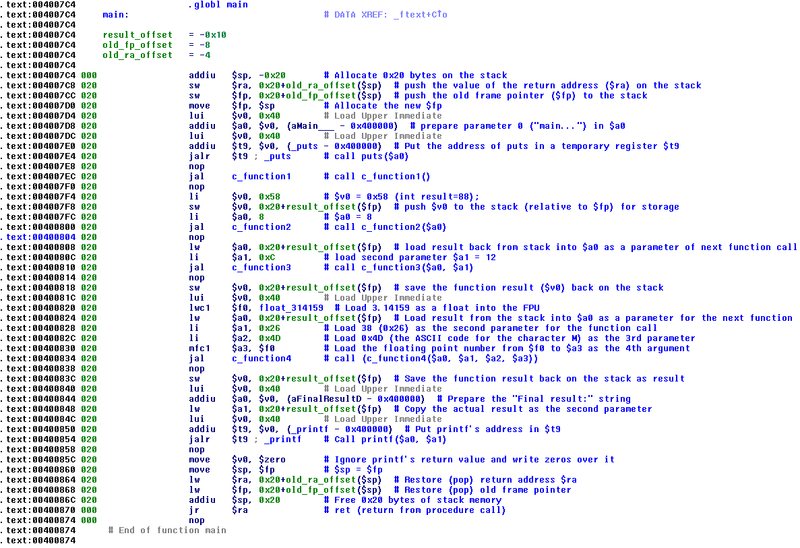 Applies given IDA .dif file to patch binary; use revert to revert patch. As you can see, we were successful in skipping function1 (which took no parameters). Next up, we will try to see if we can learn how to do jumps to arbitrary addresses. Wish me luck! The instruction opcode is 0000 10 (= 0x08) followed by the absolute address (encoded in 26 bits) where to jump to. The trick is to find out how to encode the memory address and how to represent it in hex. Without much information on the subject, we can look at a similar jump instruction and try to understand how it's encoded (the jal - jump and link instruction). The difference is just the op code (0000 11 + target address). Now, we're looking for the bit sequence 0000 11 and we can find it at the last two octets - 0C. This means the jump instruction is encoded in the least significative byte. The rest are address bits. So, the function calls c_function2, which is at offset 004006A4. This looks nothing like what the hex representation is - A90110. Well, now we're cooking . We can identify the octets in the hex string, only they are in reverse order (little endian). And now you have an unconditional jump tot that address. All nice and dandy, so let's do a real world example. We now want to jump over function2 and function3 in main. We will add the jump instruction at offset 004007FC in the code, replacing the li $a0, 8 instruction (which prepares parameters for function2 anyway) and the next instruction must be a nop (because as I've said earlier, the next instruction after a jump is still executed). We need to calculate the target address for this jump. We want to reach address 00400814 as our target (right after the call to function3). Using the algorithm above (which I "compiled" into a perl script) we calculate that the instruction will be: 05021008. We go and replace the hex strings at 004007FC and 00400800 (two consecutive instructions) (more specifically, this hex string 08 00 04 24 A9 01 10 0C) with the hex strings for "j 00400814" and "nop" (specifically 05 02 10 08 00 00 00 00). Now it's time to sit back, sip your cool drink and rejoice! IDA says the jump is correct. As you can see, function1, 2 and 3 have been skipped and this also changes the final return value (it used to be 138). A great success, but it takes a lot of work to do these changes due to IDA's lack of assembly support for MIPS. I was thinking of what I can do to make things easier (to patch wdtvext we need to edit hundreds of functions and add at least 200 jumps), and doing it by hand is a lot of work and error prone. A colleague of mine suggested to generate the patches in IDA format directly from my address calculation script - and that's sensible. I would need to feed two parameters per change: the address where I want to add the jump and the address to jump to. It could work internally and generate the correct instructions (+ the nop we need as well) and generate an IDA patch file. I can then apply the patch, reboot and pray... The work I need to do now (besides the patching script) is to identify the pairs of where to add the jump and where to jump to and write them to a file and then generate the correct code and profit. Sadly, I'll be at a course next week and won't have time to play with this, but I hope to be able to do the wdtvext mass patching this year. Thanks for the encouragement. I hope that this work will help others pick up where older contributers left and we can at least fix some annoying bugs. mad_ady wrote: I keep begging b-rad to give me whatever source code he has for wdtvext for 1.02, but he keeps having computer problems, so no code yet. I did a lot of disassembly on DMAOSD and my tools were much cruder than yours. I may have to look at your tools some time. I seem to remember Pibos released the source on an early version. The major issue is the DMAOSD hook addresses changed. Both pibos and brad quit when they got new jobs. I always wondered if someone talked to their bosses about hacking or if their companies had policies against outside work. My old company had such a policy and technically I was supposed always include a disclaimer that I didn't speak for my company when posting here. I thought pibos also lives in Romania. Why don't you knock on his door. I plan on contacting pibos as soon as 1.06 has been wdlxtv'ed. Right now I'm mostly on a quest to learn new things. I'm sure we'll need to do this in dmaosd as well..